It's MST3K meets Doctor Who! Watch an episode and listen along to our supposedly hilarious commentary. Get ready for bad jokes, terrible puns, and somewhat unwitty comments. WARNING: Do NOT listen to our commentary by itself. You must watch the episode along with it. Not doing so can cause long-term damage to your sense of humor. 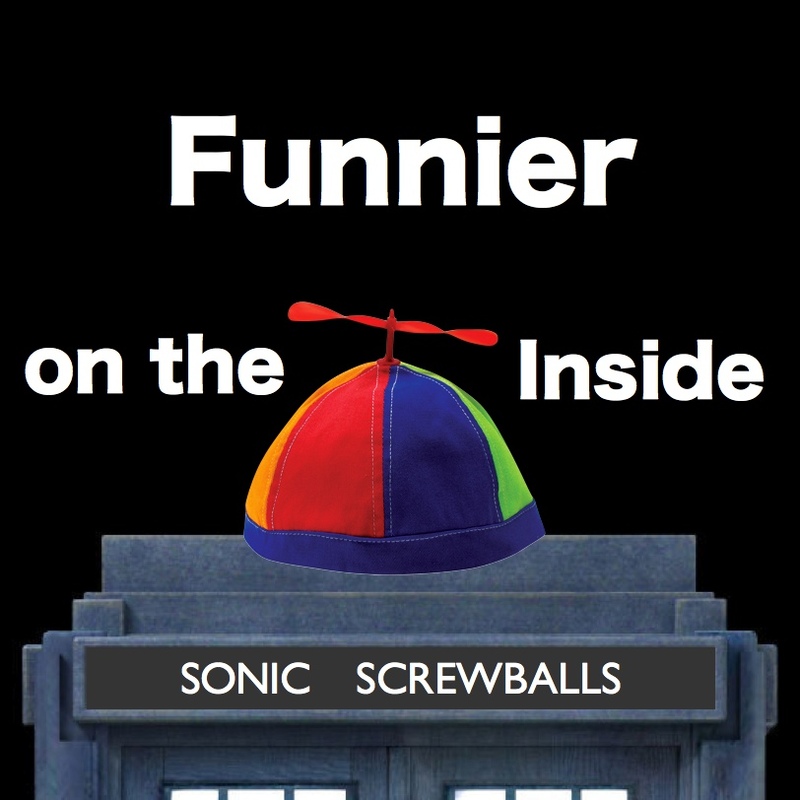 The Sonic Screwball's debut episode takes a hit at the easily forgettable 3rd Season episode: "Daleks in Manhattan." There are pigmen, a spider-man, and everyone's favorite Captain from Naboo! We go from the top of the Empire State Building to the bottom of the New York's dungeony sewers in our quest to make you laugh through this hard-to-bear episode. So get the episode pulled-up on Netflix (paused at very beginning), press play on our audio track, and wait until the signal to start the video. It's just like we're right there with you! (No word on if that's a good thing or not). Extra Syncing Note: If you are not watching on Netflix, you'll need to sync with the first scene-cut chime. Here's how: 1.) Start the video. Pause the video when the scene cuts from the billboard with "New York Review" to the girls walking down the hallway. 2.) Start our audio track. Ignore the "press play" countdown. Instead, press play on the video when you hear the first scene-cut chime. (It will be after Andy says "New York Review? I like the Old one better." 3.) Watch, listen, and enjoy!